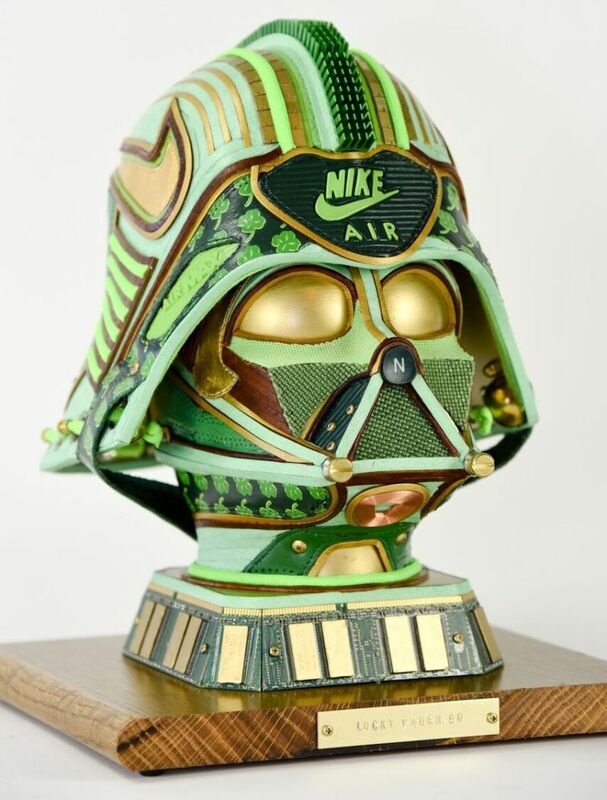 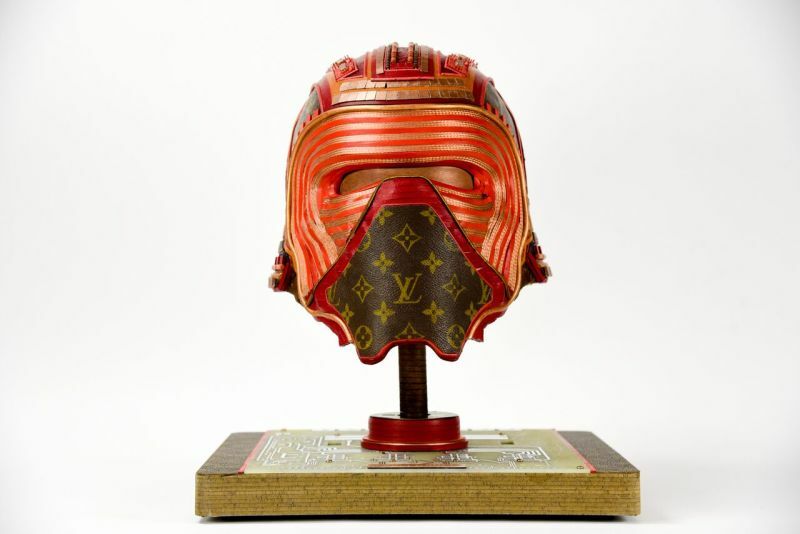 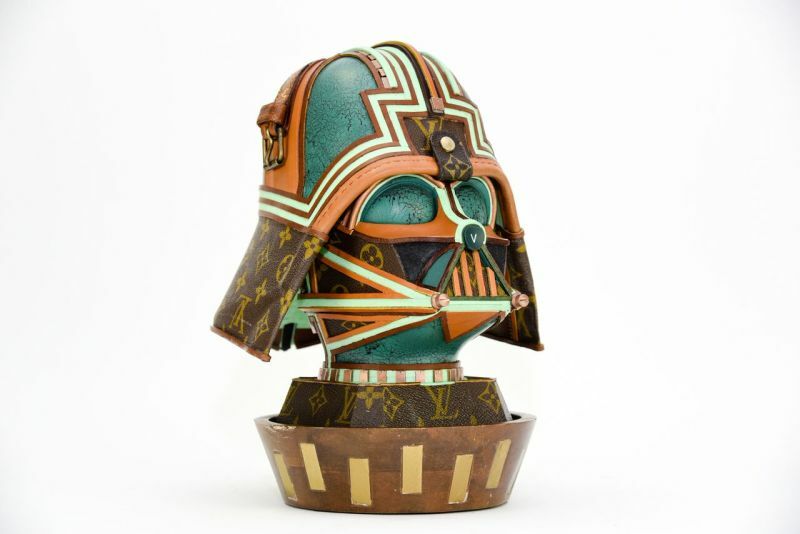 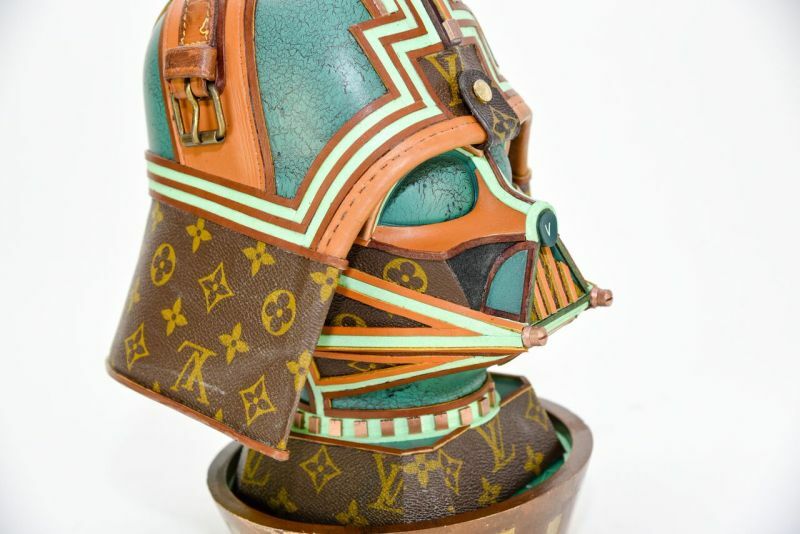 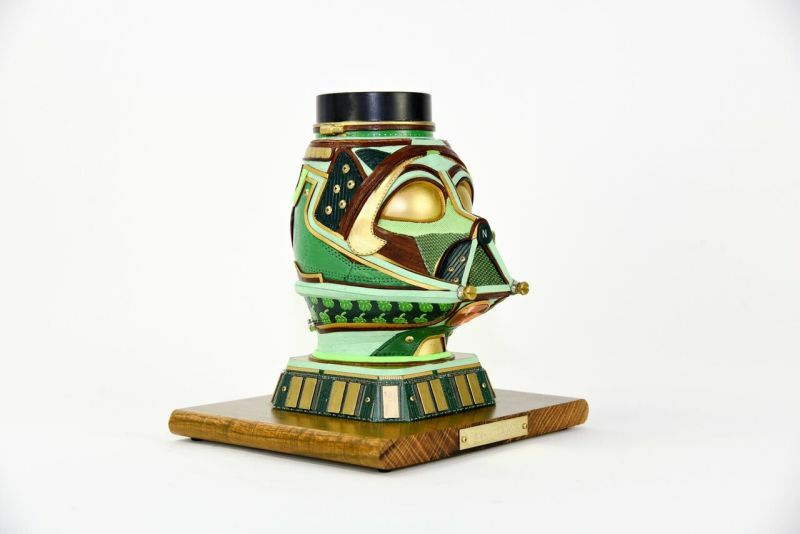 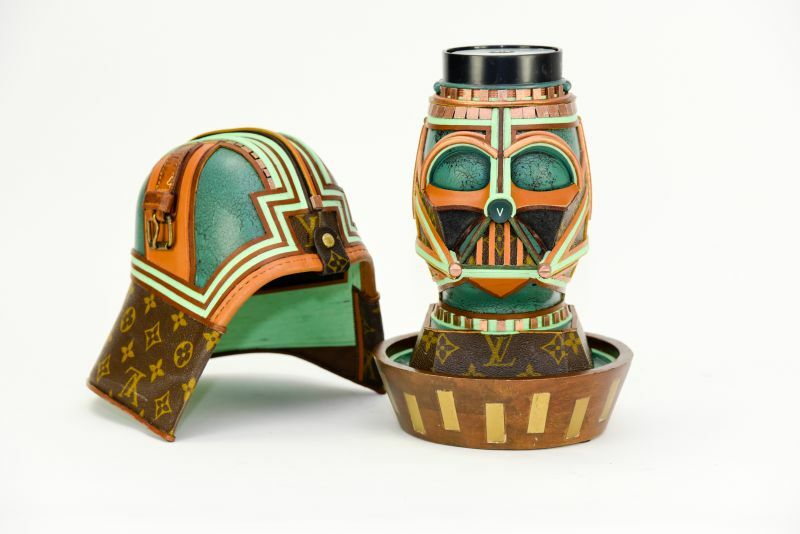 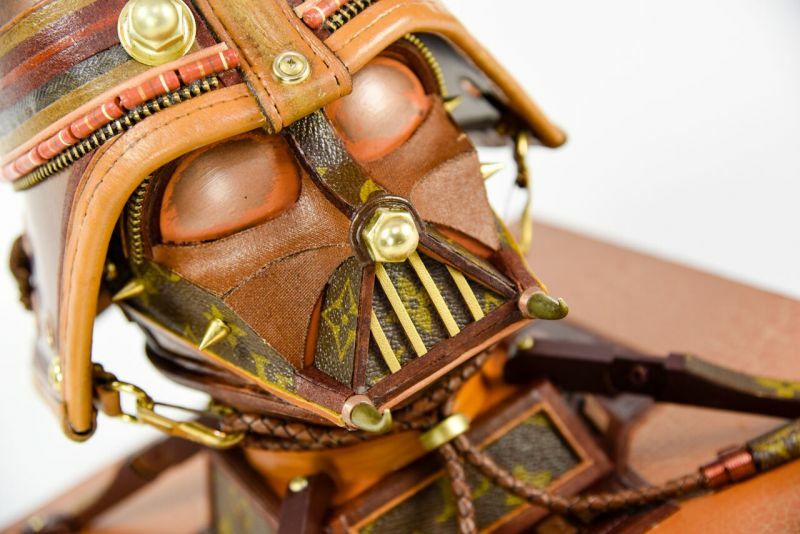 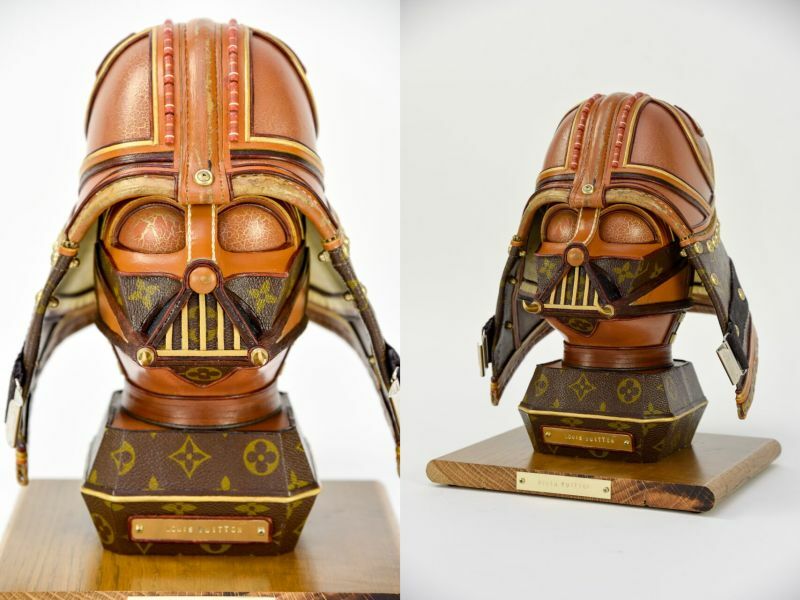 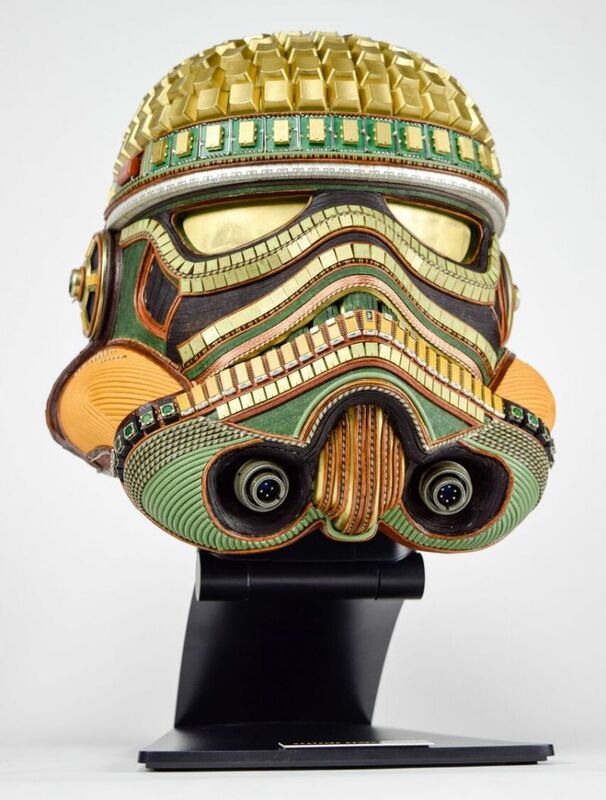 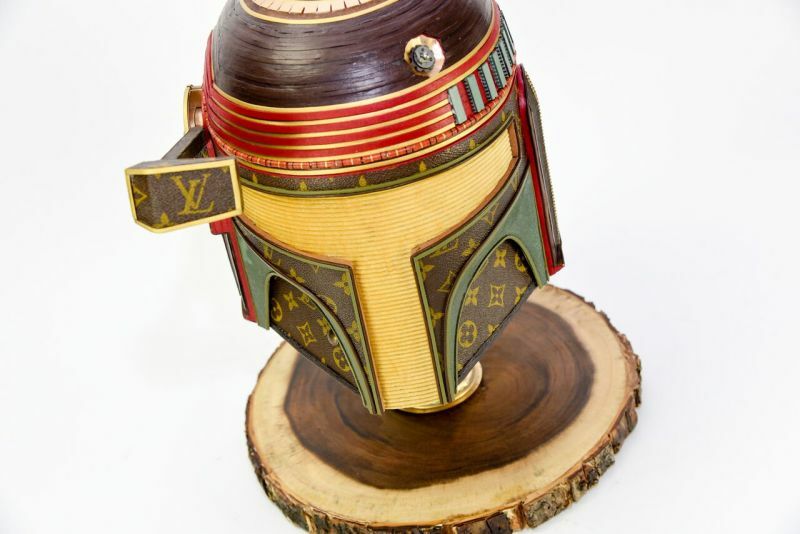 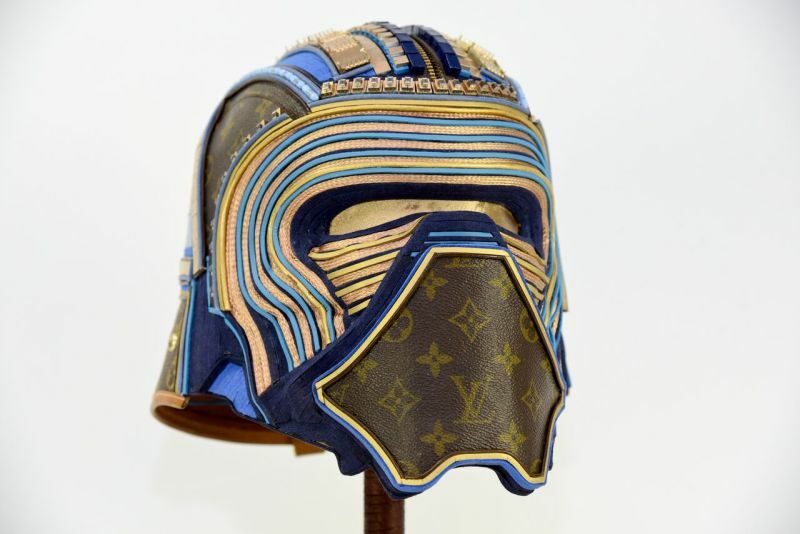 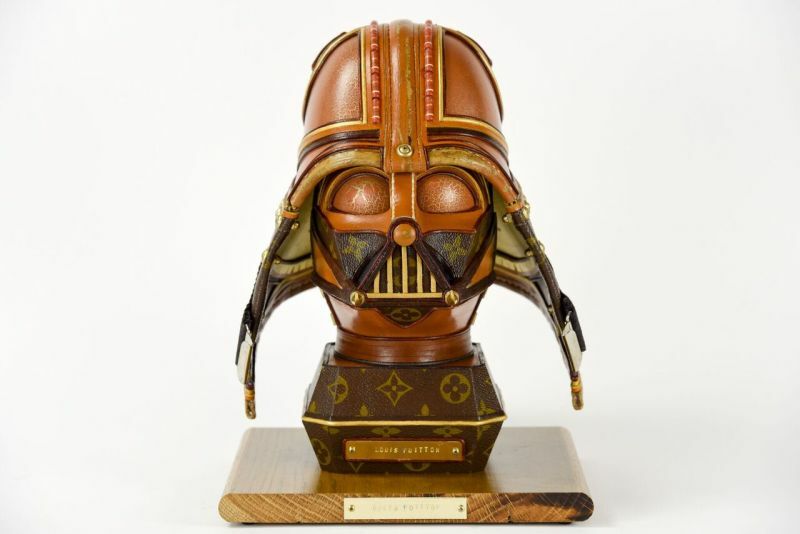 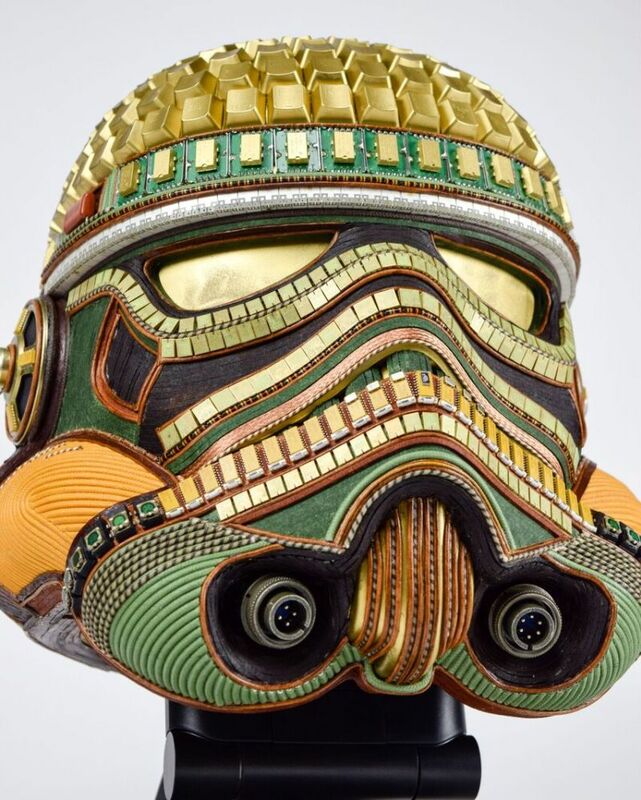 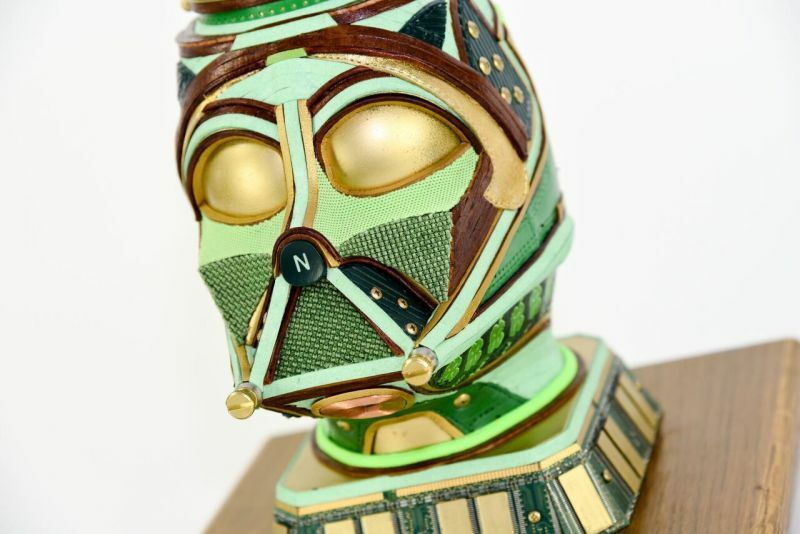 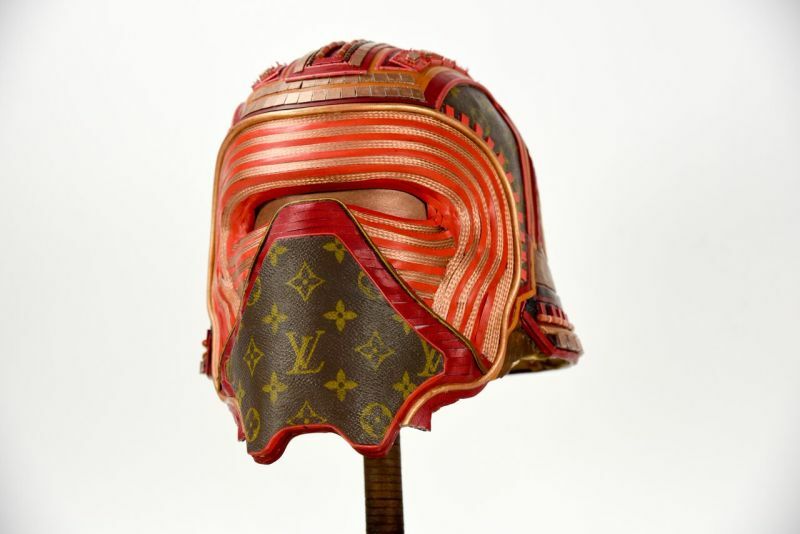 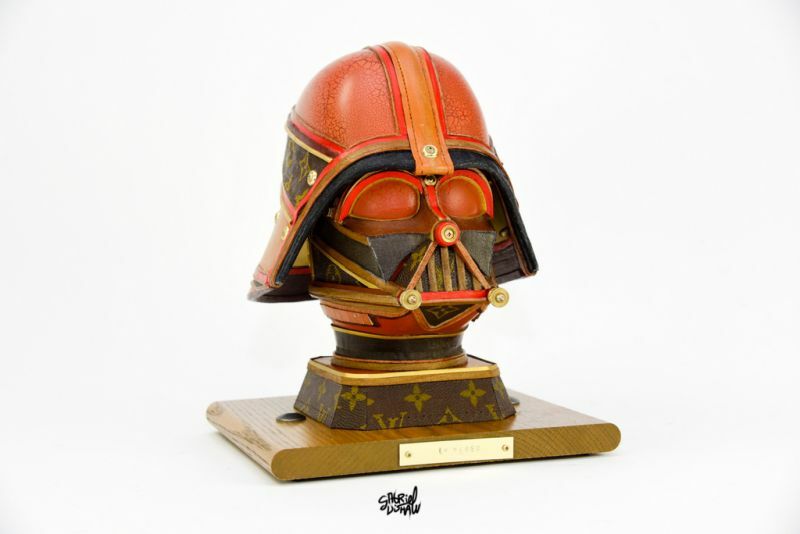 While Indianapolis-based upcycling artist and sculptor Gabriel Dishaw isn’t the first person turning e-waste into artworks, but he is probably the first to craft beautiful Star Wars sculptures out of old Louis Vuitton (LV) bags, electronic junk and other trashed material. 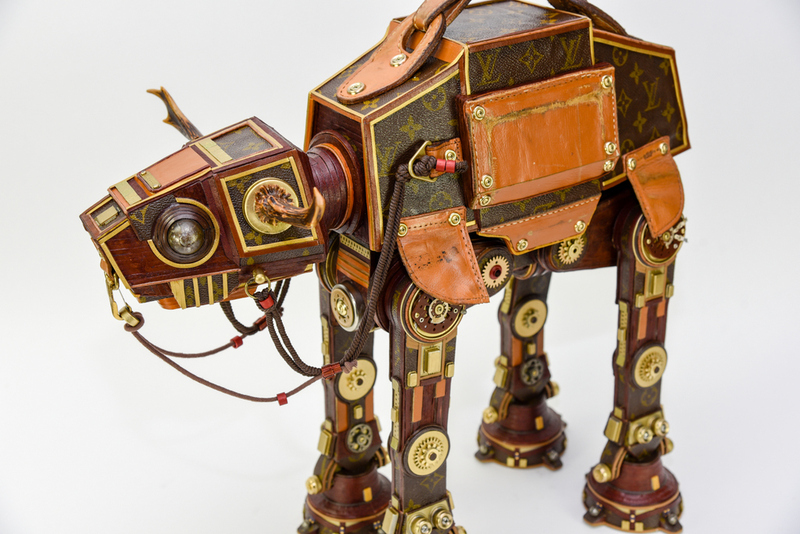 He got the idea of wrapping metal sculptures in LV leather after coming across a vintage LV luggage at an antique shop in Northern Michigan. 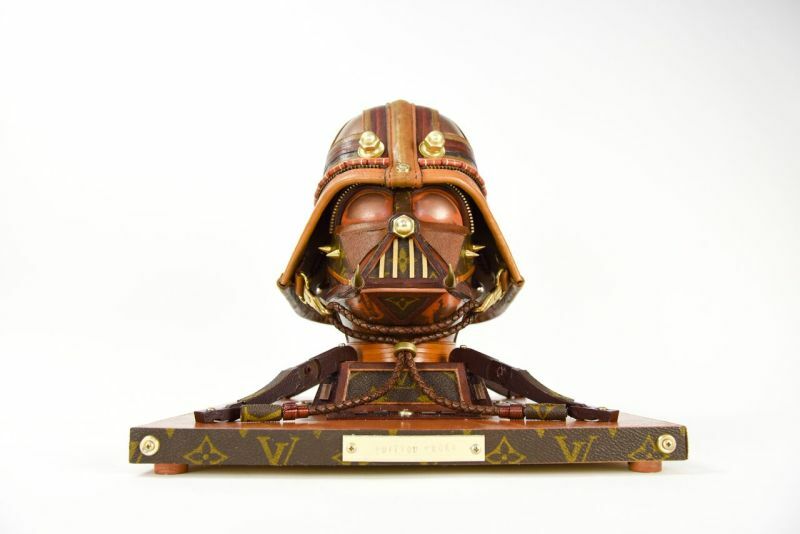 The LV bags have a story. 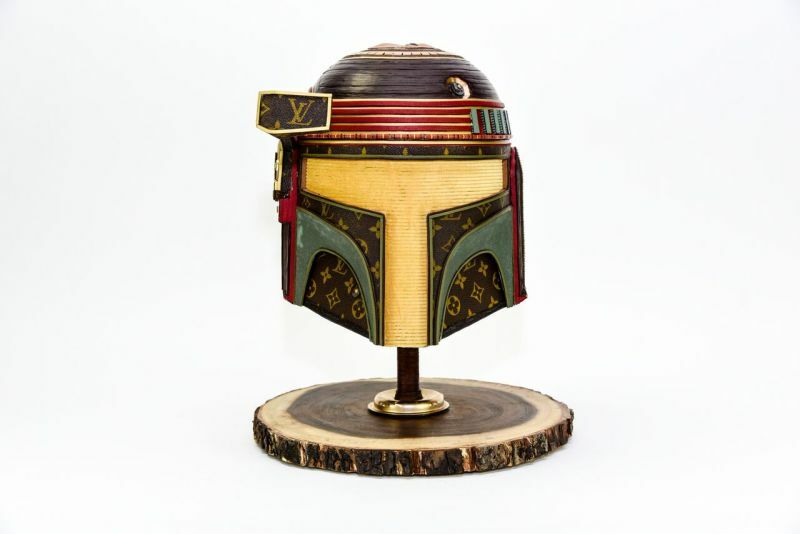 I was in Northern Michigan on vacation and came across a stack of vintage LV Luggage from the 70’s at a small antique store and a spark of creativity came over me. 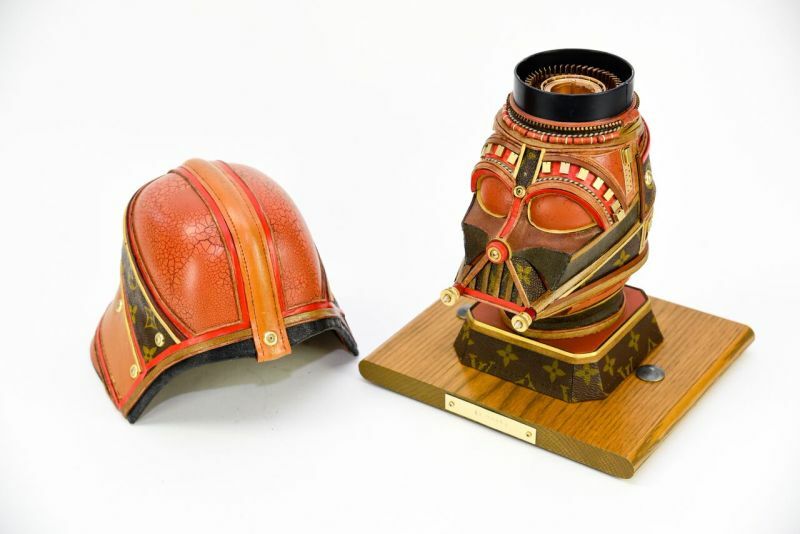 I knew that I could use these somehow and had to have them before I left. 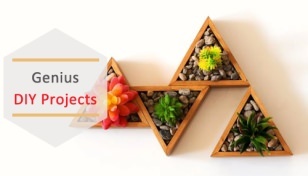 They didn’t come cheap but as soon as I got home I started the painstaking process of taking them apart. 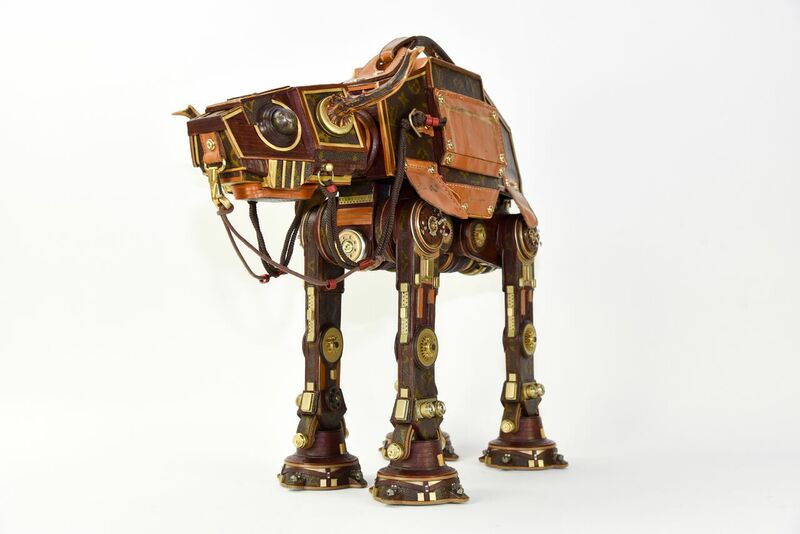 The process of disassembling is very important in my work because this is sometimes where the creative inspiration comes from as I examine the parts I re-imagine them as something else. 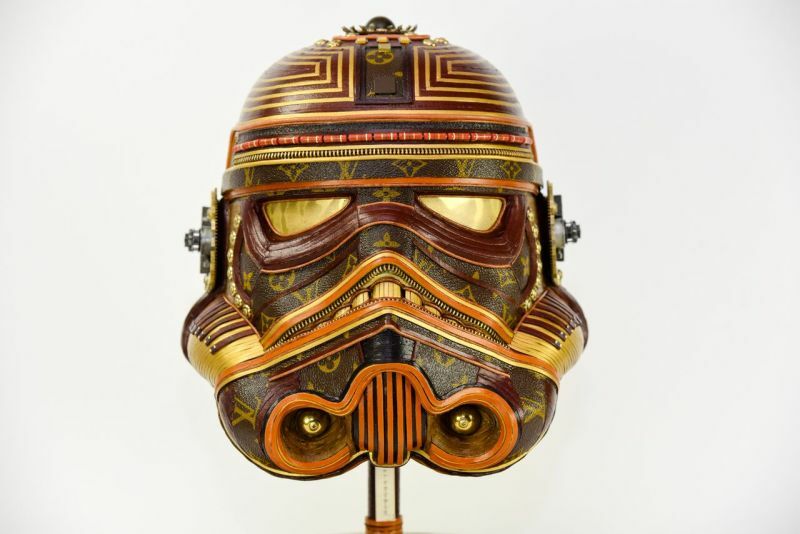 Out of this exercise is where the first LV Star Wars Series came from. 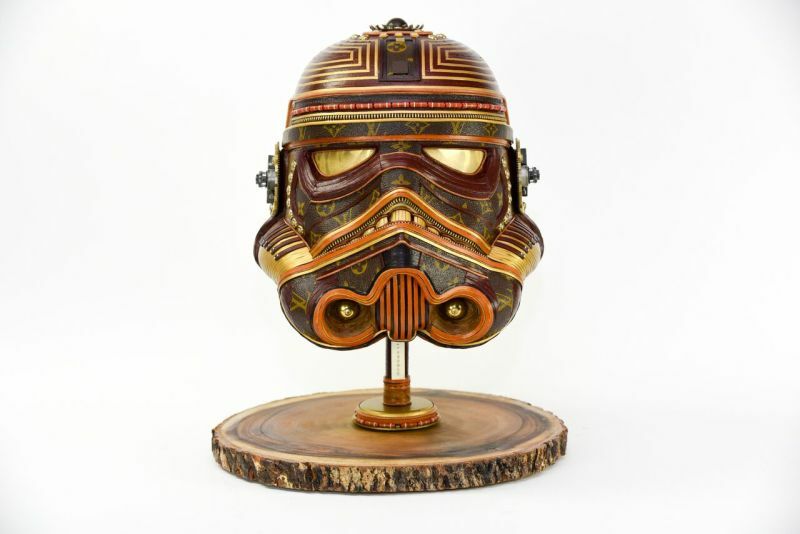 The intuitive passion for working with metal and mechanical objects has inspired him to create these unique Star Wars-themed art pieces. 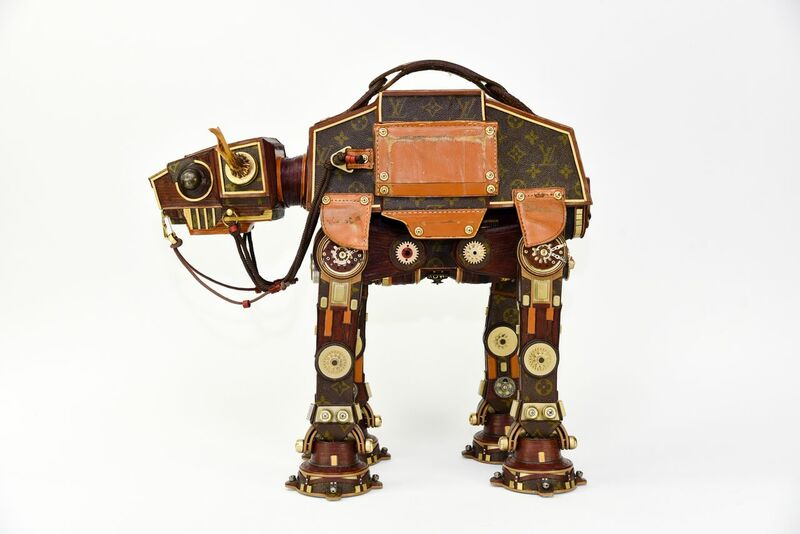 From Stormtrooper and Darth Vader to Tie Fighter and AT-AT Walker, he has been giving his Star Wars collection a variety of touches and tones. 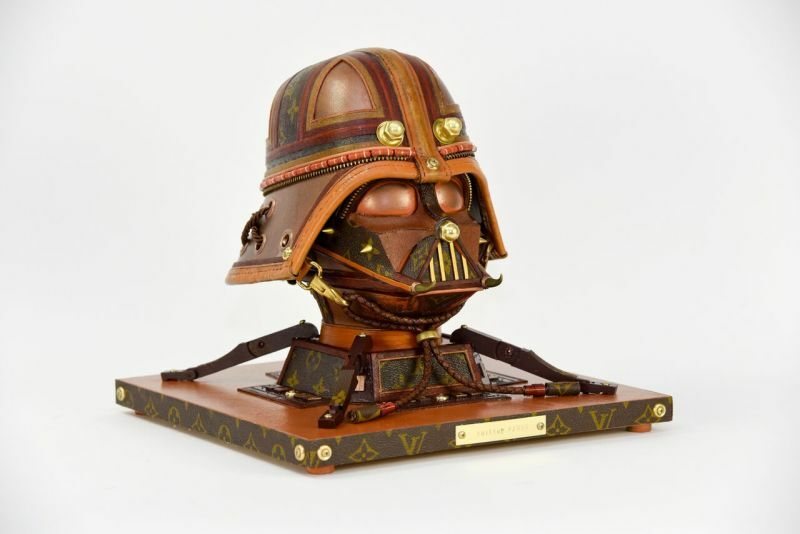 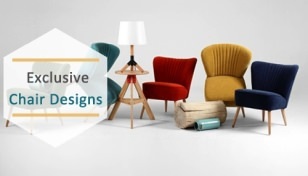 Draped in the goodness of Louis Vuitton, each piece is mounted on a wooden base to obtain a correct position on any flat surface. 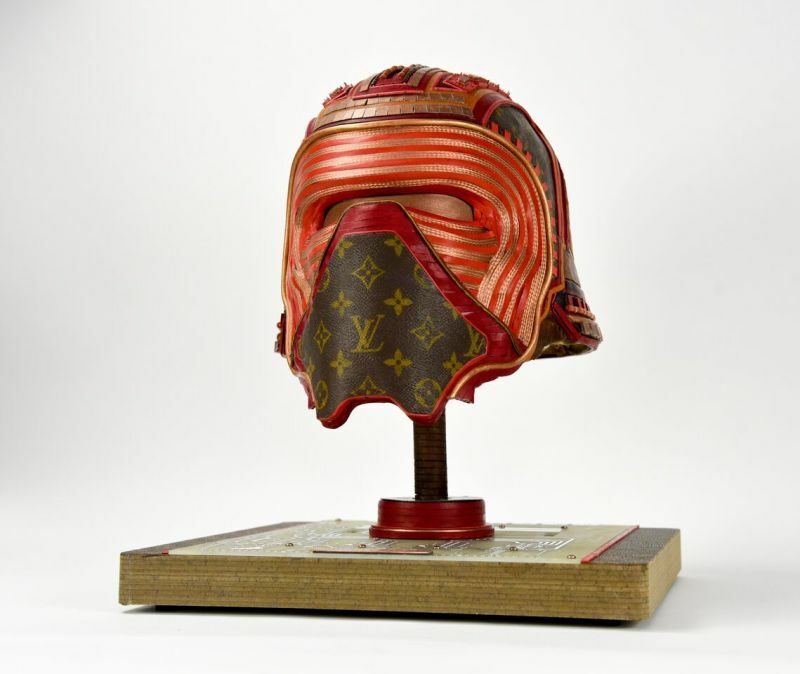 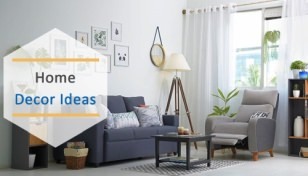 These upcycled art pieces aren’t cheap, still most of them are already sold out. 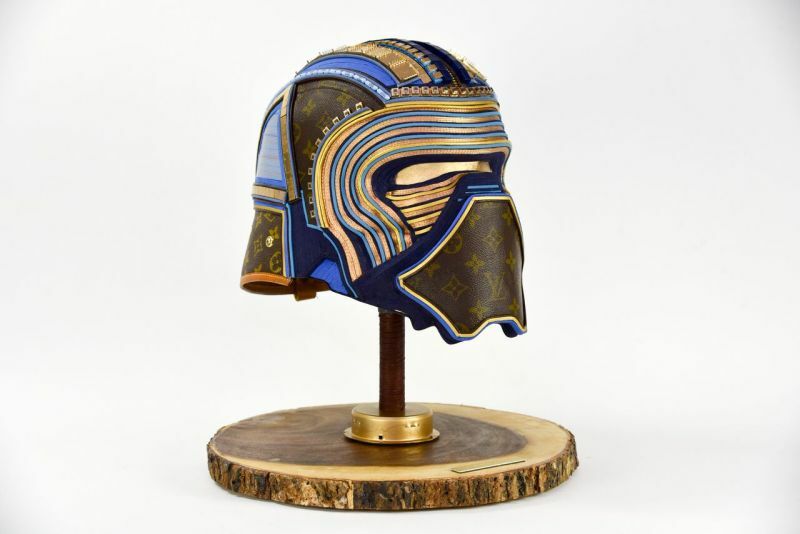 If you think you are a serious Star Wars fanatic and can afford to spend a couple thousand doughs, head over to Gabriel’s online shop or get in touch with him to get a custom piece crafted for you. 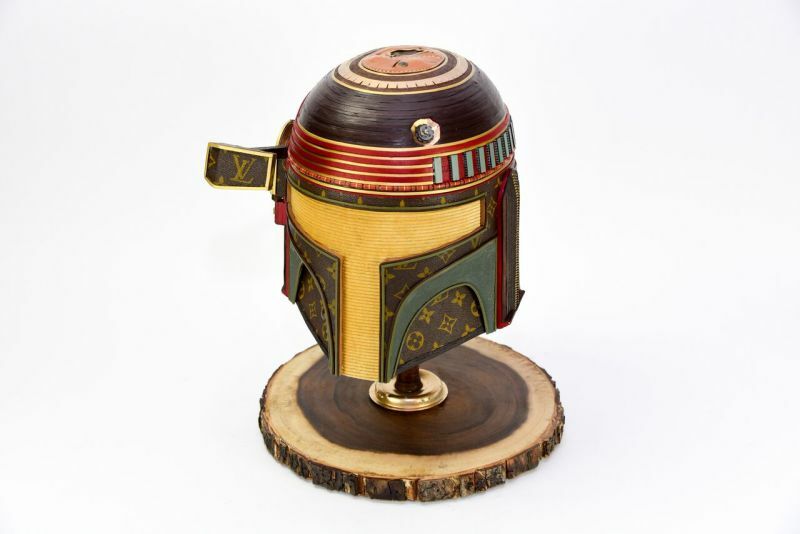 Special thanks to the artist, Gabriel Dishaw, for sharing the details and photographs with us!